The 5-star Jingmin Central Hotel Xiamen is located in Xiamen's economy and entertainment centre. It offers 5 dining options, a spa and a heated indoor pool. The hotel is an 18-minute drive from Gaoqi International Airport. Free pick-up services from the airport and Wutong Wutong Passenger Wharf are provided. The elegant rooms at Central Jingmin Xiamen feature modern décor and flat-screen cable/satellite TVs. All rooms come with a minibar, personal safe and toiletries. Charmland Spa features traditional Chinese massage and foot reflexology treatments. Guests can work out at the fitness centre, play billiards and table tennis or relax at the sauna facilities. Currency exchange is available. Amber Court Restaurant offers a wide variety of Western dishes and a daily breakfast. Mild Hut’s Restaurant serves Cantonese and Fujian delights. Drinks are available at the American-style Harbour Bar, Easy Bar and Japanese Oriental Club. 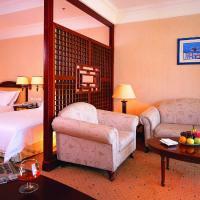 In Xiamen, Marco Polo offers accommodations with sweeping views of the city or Yuandang Lake. This 5-star hotel features an outdoor swimming pool, 4 dining options and free airport transportation. Free minibars are available in all rooms. Featuring modern interiors and large bay windows, rooms at Marco Polo Xiamen are equipped with a cable TV. A bathtub and hot shower are in the private bathroom. Guests can work out at the fitness center or relax by the pool. With a 24-hour front desk, the hotel provides car rental services. Local souvenirs can also be purchased at the gift shop. Café Marco serves a buffet spread of international dishes, while Cantonese food is available at Lotus Court. Other dining choices include Japanese cuisine at Shogun restaurant. Xiamen Marco Polo offers free parking, and is a 10-minute drive from Nanputuo Temple. Xiamen Gaoqi International Airport is a 15-minute drive from the hotel. Featuring 5 dining options, Millennium Harbourview Xiamen offers rooms with free Wi-Fi and flat-screen cable TVs. It has mini golf facilities and a gym. A pool and sauna are available. Millennium Harbourview Hotel Xiamen is a 15-minute drive from the famous Zhongshan Road Pedestrian Street. Xiamen International Exhibition Centre and Xiamen International Airport are both a 20-minute drive away. Spacious rooms at Millennium Harbourview feature en suite bathrooms with bathtubs and hairdryers. Minibars and tea/coffee makers are provided. Safety deposit boxes and ironing facilities are included. Guests of the hotel enjoy free parking privileges. Sightseeing arrangements can be made at the tour desk, while the business centre is available for guests’ communication needs. Chinese, Japanese and international cuisine is available in the hotel’s various restaurants. Authentic Italian cuisine is served at Portofino. The Golf Bar and Hollywood Bar offer a place to relax over drinks at the end of a hectic day. Crowne Plaza Paragon Xiamen is in Xiamen's business district, just a 15 minute drive from Xiamen International Airport and Xiamen International Conference and Exhibition Center. It has pampering spa services, an outdoor pool and a gym. Modern air-conditioned rooms come with a minibar, laptop safe and a sofa. Bathrooms have a bathtub and hairdryer. Parkview Cafe serves international buffet spreads with views of the landscaped grounds. Other dining options include Asian Delights restaurant, Yue Chao Chinese Restaurant and a Delicatessen. Guests can work at the business center, or relax at the sauna and steam rooms. The hotel also provides car rentals, laundry and dry cleaning services. Located in the central business district of Xiamen, Pan Pacific provides luxury accommodation with exclusive Pacific Lounge on the Club floor. It is a 20-minute drive from Gaoqi International Airport and with coffee and bar street nearby. The property has an outdoor pool and 4 dining options. Free parking is provided. Rooms and suites at Xiamen Pan Pacific feature beautiful views of picturesque Yundang Lake, Gulf Park, Gulangyu Island and South Putuo Temple. Each room is equipped with a cable TV, minibar and safety deposit box. Treat yourself to a relaxing massage, or work out at the gym. The hotel offers laundry and babysitting services. Enjoy international dishes in a poolside terrace setting at Caesar’s on 3 Restaurant, which has an open kitchen concept. For fine dining, sample the Cantonese specialties at Hai Tien Lo Restaurant. Jinjiang Inns Xiamen Jimei University Town is a 10-minute walk to Tan Kah Kee Memorial Museum. It offers air-conditioned rooms with 24-hour hot showers, free internet access and a flat-screen TV. Rooms at Jinjiang Inns also provide a tea/coffee maker, desk and slippers. Jinjiang Inns Xiamen Jimei University Town feature business facilities, laundry service and a cafe offering a variety of breakfast options. Jinjiang Inns Xiamen Jimei University Town is 15 km away from Xiamen Railway Station. It is a 10-minute drive from Xiamen Gaoqi International Airport. Jinjiang Inns Xiamen University is 7 km away from Xiamen Railway Station. It offers air-conditioned rooms with free internet access, tea/coffee maker, 24-hour hot showers and cable TV. Business facilities, laundry service and a cafe serving a variety of breakfast options are provided. Jinjiang Inns Xiamen University is within walking distance of Nanputuo Temple and is a 30-minute drive from Xiamen Gaoqi International Airport. Jinjiang Inns Xiamen Huli Qufu Hotel is within walking distance of Zhongshan Road Shopping Walking Street. It features rooms with free internet, a restaurant and free parking. All guest rooms have a private bathroom with 24-hour hot shower. A cable TV, tea/coffee maker and slippers are provided. Business facilities, safety deposit box and luggage storage are available at the hotel. The hotel features breakfast served in more than 20 different varieties. 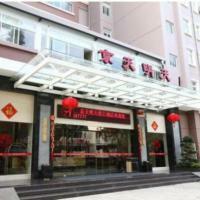 Jinjiang Inns Xiamen Huli Qufu Hotel is 5 km away from the Xiamen Railway Station. It is 3 km from the Xiamen Gaoqi International Airport. Just 300 ft from Zhongshan Road Pedestrian Walking Street, Xiamen Penguin Hotel Zhongshan offers rooms with free Wi-Fi and free local calls. The hotel offers its guests free parking privileges. Xiamen Train Station is 2.5 miles from Xiamen Penguin Hotel. Xiamen Gaoqi International Airport is 9 miles away. Rooms at Hotel Xiamen Penguin are equipped with electric kettles. Work desks and sitting areas are provided. Private bathrooms provide toiletries and 24-hour hot water facilities. 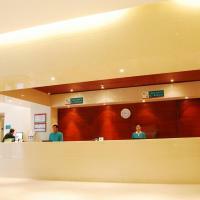 Zhongshan’s Xiamen Penguin Hotel offers fax and photocopying services at its’ 24-hour front desk. A business center and tour desk are available. Xiamen ZhongYuan Quick Hotel is located next to Carrefour Supermarket, 2 km from Xiamen Railway Station. The cosy hotel offers affordable accommodation with free parking and free internet in rooms. The air-conditioned guestrooms at Xiamen ZhongYuan have plenty of natural light, creating a homely ambience. The en suite bathroom comes with bath amenities and hot shower facilities. Hotel Xiamen ZhongYuan Quick provides luggage storage at the 24-hour front desk. There is a tour desk to assist guests with travel arrangements and ticketing service. Laundry and dry cleaning services are offered. The hotel serves buffet breakfast daily. Light refreshments are available as well. Xiamen ZhongYuan Quick Hotel is situated at the North section of Mingfa Commercial Plaza, 2 km from Nanhu Park. It is 10 km from Xiamen Gaoqi International Airport. Located in Bailuzhou Park, the Xiamen Airline Jinyan Hotel offers spacious rooms with free internet right beside Yuandang Lake. The hotel features an outdoor pool and a free airport shuttle. The elegant rooms are furnished with air-conditioning, a wide LCD TV and a minibar, while stylish bathrooms come with a bathtub and toiletries. Some rooms offer lake views. Guests at Hotel Jinyan Xiamen can relax in the sauna, work out in the gym or play some pool. The hotel offers concierge service, and it houses a souvenir shop. The hotel has restaurants that offer Chinese, Western and Japanese cuisine. The daily breakfast buffet with local and Western fare is served at the cafe at the spacious indoor patio. Xiamen Airline Jinyan Hotel is surrounded by shops and restaurants. It is 2 miles from Xiamen Station and 7 miles from Xiamen Gaoqi International Airport. Located in the center of the city, Xiamen Airline Hotel offers free private parking and a free roundtrip airport shuttle service. Its modern rooms feature free internet access and flat-screen cable TVs. Hotel Xiamen Airline is 2.5 miles from Xiamen Train Station. Gaoqi International Airport is 10 miles away. Xiamen Airline’s rooms come equipped with tea/coffee makers and electric kettles, as well as Ironing facilities. Its private bathrooms offer toiletries and a hairdryer. Sightseeing arrangements can be made at the tour desk while a business center is available. The hotel offers dry cleaning and laundry services. For an authentic Chinese meal, guests can head to the hotel’s restaurant. For alternative dining options, room service is available. Towering over Xiamen Harbour, Fortune Hotel Xiamen offers 5-star rooms with flat-screen TVs and free broadband internet. Guests enjoy access to 7 dining options, fitness facilities and an indoor pool. Hotel Xiamen Fortune is within a 10-minute drive from Xiamen Train station and the shopping options at Zhongshan Road. It is a 15-minute drive from Xiamen Gaoqi International Airport and provides free parking. Featuring classic furnishings in calming neutral shades, Fortune Xiamen’s rooms boast scenic views of the city or Lujiang River. They come with an armchair, safe and well-furnished bathroom. Sweeping harbor views accompany Cantonese specialties at the Chinese restaurant. Le Gourmet Buffet Bar offers a spread of European specialties while Hime Japanese Club is ideal for a karaoke session. Boasting an indoor pool, Xiamen Fortune also has golf practice and sauna facilities. For those looking to relax, massages await at the Spa followed by gourmet teas at the Tea House. Louis Hotel offers resort-style accommodations located on Gulangyu Island. 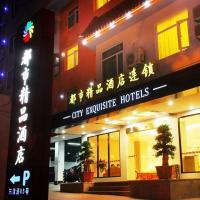 Offering a coffee joint and rooms with free internet, this cozy hotel is 12 miles from Xiamen Gaoqi Airport. Featuring a classy interior, guest rooms at Louis are equipped with a work desk, an electric teakettle and a flat-screen TV with cable channels. Each room has a private bathroom with shower facilities. Hotel Louis offers baggage storage at the 24-hour front desk. There is a reading corner for guests to enjoy a quiet moment. Fax and photocopying services are available. Louis Hotel is located a short 250 ft from Gulangyu Ferry Terminal. A 10-minute walk from Bailuzhou Park, Xiamen’s Newera Garden 8 Hotel features cozy rooms with cable TV channels and tea/coffee makers. Free internet access and free private parking is offered. Newera Garden Super 8 Hotel is a 30-minute drive from Gaoqi International Airport. Rooms at Newera offer a work desk and ironing facilities. Private bathrooms have toiletries and a hairdryer provided. Guests can visit the business center for their communication needs or the tour desk to make sightseeing arrangements. Dry cleaning and laundry services are available in the hotel. A traditional Chinese meal can be enjoyed in the hotel’s restaurant. Xiamen Wanjia Oriental Hotel is a stylish 4-star hotel located next to Xiamen Botanic Garden. It offers modern accommodations with a restaurant, free parking and rooms with free internet. Spacious guest rooms are equipped with both heating and air-conditioning facilities. Each room has a minibar, tea/coffee making facilities and a flat-screen TV with cable channels. Laundry and dry cleaning services are available at Hotel Wanjia Oriental. The tour desk can assist guests with car rental and travel arrangements. Other services offered include baggage storage and currency exchange. The hotel’s restaurant serves a selection of Chinese cuisine. 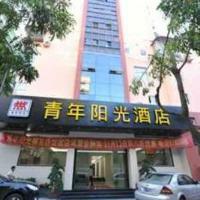 Hotel Xiamen Wanjia Oriental is located one mile from Zhongshan Road and Xiamen Train station. Gaoqi Airport is 8 miles from the hotel. Offering stylish rooms with free broadband internet and a glass-wall bathroom, Xiamen Qingnian Yangguang Hotel is just 1 km from Xiamen Railway Station. A restaurant and concierge service are available. The air-conditioned rooms at Hotel Xiamen Qingnian Yangguang (Wenzaodian) combine unique artwork and modern lighting. Each has a coffee/tea maker and flat-screen TV with cable channels. The 24-hour reception provides luggage storage services, and a breakfast buffet is served at the hotel. Located in Xiamen’s Siming District, the hotel is a 10-minute taxi ride from Nanputuo Temple and 15 km from Xiamen Gaoqi International Airport. 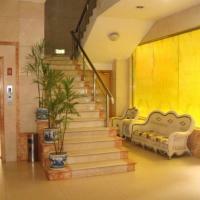 Xiamen Jinghua Hotel is located in the business district, 1 km from Xiamen Railway Station. It offers modern accommodation with a restaurant and free parking on site. Air-conditioned guestrooms are fitted with a personal safe, tea/coffee making facilities and a flat-screen TV with cable channels. The en suite bathroom comes with bathroom amenities and a hairdryer. Laundry and dry cleaning services are offered at Hotel Jinghua. The tour desk can assist guests with making travel arrangements. There is also a business centre with fax and photocopying services. The hotel’s restaurant serves a selection of local dishes. Xiamen Jinghua Hotel is located 7 km from Zhongshan Road and 10 km from Xiamen Gaoqi International Airport. 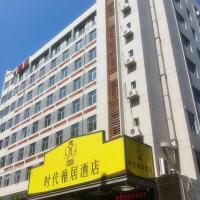 Xiamen Huaqiao Hotel is next to Zhongshan Pedestrian Street, 3 miles from Xiamen Train Station. It offers modern accommodations with an indoor pool, free parking and free in-room internet. Air-conditioned guest rooms are equipped with a work desk, tea/coffee making facilities and a TV with cable channels. The private bathroom comes with a bathtub. The hotel has a well-equipped fitness center on site. Guests can enjoy a massage or unwind in the sauna rooms. Laundry and dry cleaning services are available. The hotel’s restaurant serves a variety of Chinese and Western dishes. Gaoqi International Airport is 10 miles from Hotel Huaqiao Xiamen. Xiamen Plaza is located is located across the Xiamen Railway Station, 5 km from Zhongshan Road. It offers modern accommodation with a restaurant, free parking and rooms with free internet. Air-conditioned rooms are stylishly furnished and have plenty of natural light. Each room is equipped with a minibar, a work desk and a flat-screen TV with cable channels. Laundry and dry cleaning are available at Plaza Xiamen. The hotel provides bicycle and car rental services. The tour desk can assist guests with making travel and sightseeing arrangements. The hotel’s restaurant serves a selection of Chinese cuisine. Xiamen Plaza is located 7 km from Xiamen International Conference & Exhibition Centre. It is 20 km from Gaoqi Airport. Overlook the Pacific Ocean, Seaview Resort Xiamen offers spacious non-smoking rooms with views of the mountains, grounds or sea. This 5-star hotel features an infinity pool, 9 dining options and free internet. Rooms at Seaview Resort come with modern interiors and have plenty of natural light. All are fitted with a flat-screen TV and a sitting area. Toiletries and a hairdryer are included. Guests can work out at the fitness center, or enjoy a game of tennis. The hotel offers car rental services and free parking. Ticket bookings can also be made at the tour desk. Fragrance Tea Palace serves a variety of Chinese dishes while French food is available at Jazz Bar & Restaurant. Other dining choices include organic dishes at Villa Restaurant and wine at Skyview Lounge. 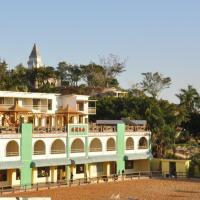 Xiamen Seaview Resort is 9 miles from Xiamen Train Station and 16 miles from Xiamen Gaoqi International Airport. Xiamen Yeohwa is at the center of Xiamen Bay, 2.5 miles from Gaoqi International Airport. The luxurious 5-star hotel offers a fitness center, an indoor pool and free parking. Air-conditioned guest rooms feature modern interiors and offer free internet access. Each room is equipped with a minibar, a work desk and a flat-screen TV with cable channels. Madame Rouge Western Restaurant serves a selection of French cuisine. Japanese and Korean food can be found at the Zhanhong Pavilion. In addition, guests can enjoy continental dishes at the Green Yard Coffee Shop. Xiamen Yeohwa Hotel has a sauna and offers massages. Other recreational facilities include a tennis court and karaoke rooms. The tour desk can assist with making travel arrangements. Hotel Yeohwa is located 4 miles from Xiamen Train Station and 5 miles from Zhongshan Road. Megaboom Business Hotel Xiamen is in Siming District, located along the bustling Zhongshan Road Pedestrian Street. It offers free internet access and a free one-way airport pickup service. Megaboom Hotel is a 15-minute drive from Xiamen Train Station. Xiamen Gaoqi International Airport is a 30 minute drive away. Rooms offer cable TV channels and tea and coffee making facilities. Toiletries and a hairdryer are available in private bathrooms. This hotel features a bookstore and movie theater. ATMs and a tour desk are also available. A free McDonald’s breakfast is provided. 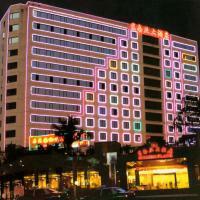 Located next to the Xia Men International Convention Center, Megaboom Hotel is a 10-minute walk from Xiamen’s seaside. It features a restaurant and spacious air-conditioned rooms with free internet. Megaboom Seaside Hotel is a 10-minute walk from local shopping outlets and a 10-minute drive from Xiamen Railway Station. Xiamen Gaoqi International Airport is a 20-minute drive from the hotel. Rooms at the hotel come with wooden furnishings and have plenty of natural light. Each guestroom is fitted with a TV with cable channels, and en suite bathroom with a bathtub. With a 24-hour front desk, Seaside Megaboom provides car rental services and free parking. Staff at the tour desk can also assist with travel and ticketing arrangements. A variety of local and western dishes are served at the restaurant. Light snacks and refreshing cocktails are available at the bar. Located in central Xiamen, Seashine Hotel is a 10-minute drive from Zhongshan Street. It offers a fitness center, free airport transportation and non-smoking rooms with free internet. Modern décor and carpeted floors feature throughout the air conditioned rooms at Seashine Hotel Xiamen. All rooms have plenty of natural light, and are equipped with a flat-screen TV with cable channels. Guests can play a game of ping pong, or enjoy a relaxing traditional Chinese massage. The hotel provides car rental services and free parking. The staff at the tour desk can assist with travel and sightseeing arrangements. Local dishes are offered in the hotel’s restaurant. Other dining options include light snacks and refreshing beverages at Blue Moon Lobby Bar. Xiamen Seashine Hotel is a 5-minute drive from Xiamen Train Station and a 20-minute drive from Xiamen Gaoqi Airport. Xiamen Navy Bay Resort is a modern 4-star hotel located a short 500 metres from the coast. It features a coffee shop, free parking and rooms with free internet. Air-conditioned guestrooms are fitted with a fridge, tea/coffee making facilities and a flat-screen TV. The en suite bathroom comes with toiletries and hot shower. Guests can obtain free tourist traffic map from the front desk. Laundry and ironing services are offered. Airport pick-up is available upon request. The on-site coffee shop serves Western dishes. Barbecue facilities are available for guests who enjoy grilled food. Drinks and light refreshments can be enjoyed at the lobby bar. Resort Navy Bay is located 5 km from Xiamen Exhibition Centre and 10 km from Xiamen Railway Station. Gaoqi Airport is 20 km from the hotel. City Exquisite Hotel - Xiamen Dongdu Branch is located in Huli District, next to the Haicang Bridge. It offers modern accommodation with a restaurant, free parking and free in-room internet. Air-conditioned guestrooms feature spacious interiors with stylish decor. Each room is equipped with a work desk, tea/coffee making facilities and a flat-screen TV with cable channels. Laundry and dry cleaning services are offered. The tour desk can assist with making travel arrangements. Luggage storage can be found at the 24-hour front desk. The on-site restaurant serves a selection of Chinese and Western dishes. Hotel City Exquisite is a 5-minute drive from Zhongshan Road in the city centre. It is km from Xiamen Railway Station and 16 km from Xiamen Gaoqi Airport. Boasting a landscaped lagoon pool by the bayfront, Xiamen Jingmin North Bay Hotel offers modern rooms with flat-screen TVs and free wired internet. It features a spa and fitness centre. Jingmin North Bay Hotel is 12 km from Xiamen North Railway Station and 20 km from Xiamen Railway Station. It offers free airport shuttles from Gaoqi International Airport and free parking. Spacious rooms and suites offer plenty of natural light and a cosy seating area with a sofa and a balcony. They have a minibar, bathtub and hairdryer. Guests can relax in the sauna or with a spa massage after active workouts at the tennis court. Other leisure options include a games room and karaoke facilities. Hearty buffet breakfasts are served at Ya Bo Yuan. The hotel also has Chinese and Japanese restaurants as well as a lobby bar. Golden Four Seasons (Changqing Road) is located on the Oriental Peal Square, one mile from Nanhu Park. It offers modern accommodations with a restaurant, free parking and free Wi-Fi access. Spacious guest rooms are equipped with a minibar, tea/coffee making facilities and a flat-screen TV with cable channels. The private bathroom comes with toiletries and shower. Laundry and dry cleaning services are offered. The tour desk can assist with making travel arrangements. Baggage storage can be found at the 24-hour front desk. Ya Zhu Chinese Restaurant serves a selection of local dishes. The 4-star Four Seasons Golden Hotel is 1.5 miles from Xiamen Train Station and 4 miles from Zhongshan Pedestrian Street. Xiamen Gaoqi Airport is 6 miles away. Located in Xiamen’s downtown area, The Greenway Hotel offers spacious rooms with free internet and a flat-screen TV. This 4-star hotel features 3 dining options and free parking. Guest rooms at Greenway come with modern interiors and dark wood furnishings. All rooms are non-smoking, and are equipped with a personal safe. Bathrobes and hot shower facilities are also available. Xiang Jiang Jun restaurant serves a fine selection of Hunan dishes. Other dining choices include traditional Chinese food at Zhen Bao restaurant, and refreshing beverages at the lobby bar. The hotel has a business center that provides fax/photocopying and ticketing services. Travel and sightseeing arrangements can be made at the tour desk. Hotel Greenway is 2 miles from Xiamen Train Station and 5 miles from Zhongshan Road. Xiamen Gaoqi International Airport is 12 miles from the hotel. Qing Nian Yang Guang Hotel is conveniently located steps from Song Bai bus terminal and a supermarket. It offers value-for-money accommodation with free internet access and the convenience of a tour desk. Air-conditioned rooms are well-equipped with a flat-screen cable TV, an electric kettle and a hairdryer. Rooms are elegant and feature ample seating area and an en suite bathroom. Qing Nian Yang Guang Hotel - Song Bai Branch offers laundry and ironing services. It also provides car rental facilities. The hotel is situated in Siming District, a stroll from eateries. Xiamen Railway Station is 2 km away, while Xiamen Gaoqi Airport is 5 km from the hotel. In Xiamen’s downtown area, Hotel Ibis Kaiyuan is a 5-minute walk from Xiamen Train Station. It features a restaurant, 24-hour front desk and air-conditioned rooms with free internet. Guest rooms at Hotel Ibis Xiamen Kaiyuan have modern interiors and hardwood floors. All rooms are well-equipped with a cable TV and private bathroom with shower facilities. A hairdryer and toiletries are provided. The restaurant serves a buffet spread of traditional Chinese dishes, and refreshing beverages can be enjoyed at the lobby bar. For convenience, the business center provides fax/photocopying and ticket services. Sightseeing and travel bookings can also be made at the tour desk. Ibis Xiamen Kaiyuan is 3 miles from Zhongshan Pedestrian Street and 7.5 miles from Xiamen Gaoqi Airport. Featuring air-conditioned rooms with free wired internet and a flat-screen TV, Xiamen Qingnian Yangguang Hotel is just 1.5 km from Gulangyu Island. It offers free parking. Rooms at Hotel Xiamen are colourful and comfortable. Coffee/tea making facilities are provided and room service is available. The hotel is 2 km from Nanputuo Temple and 3.5 km from Xiamen Happy Valley Water Park. Xiamen Gaoqi International Airport is 6 km away. Just a 3-minute walk from Xiamen International Conference and Exhibition Centre, the modern Nikko Hotel Xiamen offers an indoor pool, fitness centre and spa. 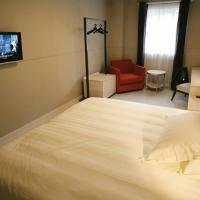 Its elegant rooms come with free wired internet and a flat-screen TV. Decorated in soothing neutral colours, the air-conditioned rooms are fitted with floor-to-ceiling windows and a see-through glass bathroom with a bathtub. A minibar, fridge and tea/coffee making facilities are also included. Nikko Hotel Xiamen is a 5-miniute walk from the beach and a 10-minute drive from Guanyin Mountain. It is a 15-minute drive from Gao Qi International Airport. Free parking is available. Guests can relax at the hotel's sauna, get a haircut at the salon or check their e-mails at the business centre. The 24-hour front desk provides services like luggage storage and currency exchange. Benkay restaurant serves authentic Japanese cuisine, while Café Serena offers international dishes and an open kitchen. Other dining options include the Lobby Lounge and Pastry Shop. Located near the harbor, Tegoo hotel is a 15-minute walk from Gulangyu Island Ferry Terminal. This 5-star hotel features a restaurant and luxurious accommodations with a flat-screen TV. Free internet and parking are provided. Modern interiors, high ceilings and warm lighting are featured throughout the elegant non-smoking rooms at Xiamen Tegoo Hotel. Each well-furnished room has a minibar and private bathroom with a shower. Offering panoramic views of the city, Tegoo Wharf serves a fine selection of Minnan dishes. Light snacks and refreshing cocktails can be enjoyed at the stylish bar. With a 24-hour front desk, the hotel has concierge and currency exchange services. Fax and photocopying services are provided in the business center. Tegoo Xiamen Hotel is 15-minute walk from the lively Zhongshan Road Pedestrian Street, a 10-minute drive from Xiamen Train Station and a 20-minute drive from Gaoqi International Airport. A 5-minute drive from Xiamen Conference Centre, Xiamen International Seaside Hotel offers a free airport shuttle and free 2 hours of bicycle rental. Modern air-conditioned rooms come with both free wired internet and free Wi-Fi. All rooms are equipped with a 43-inch flat-screen TV, minibar and sofa. Some rooms have private balcony and sea views. En suite bathrooms come with a bathtub and free toiletries. Xiamen International Seaside Hotel is a 10-minute drive from Ruijing Business Centre. It is a 15-minute drive from Xiamen Airport. Parking is free. Guests can relax at the hotel's hot tub, or exercise at the fitness centre. The hotel also provides a business centre, tour desk and souvenir shop. Buffet spreads can be enjoyed at Yihaiyuan Restaurant. Chinese dishes are offered at Liwan Restaurant. In Xiamen, 3 Xia Da Ren Hostel features affordable accommodations with a 26-inch flat-screen cable TV. It features free Wi-Fi, free parking and a free 1-hour bike rental service. 3 Xia Da Ren Hostel (Xiamen University) is one mile from Hulishan Paotai and 2.5 miles from Putuo Temple. It is 5 miles from Xiamen Train Station and 11 miles from Xiaomen Gaoqi International Airport. Cozy air-conditioned rooms have neutral color tones and have plenty of natural light. Each room has a private bathroom with shower facilities, toiletries and slippers. To relax, guests can go biking or have a relaxing barbecue. Car rental and ticket services are provided at the 24-hour front desk. Available for all-day dining, the restaurant serves a fine selection of local and international dishes. 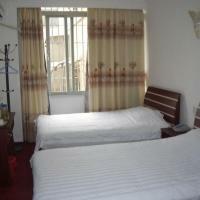 In Xiamen, 3 Xia Da Ren Hostel (Zeng Cuo An) has affordable accommodations with a flat-screen cable TV. It features a restaurant, free Wi-Fi and a free 1-hour bike rental service. Xia Da Ren Hostel is a convenient 10-minute drive from Xiamen Train Station and the Ferry Terminal. Xiamen Gaoqi International Airport is a 20-minute drive away. Rooms are brightly lit and have modern minimalistic interiors. Each pleasant room comes equipped with an electric teakettle, sitting area and private bathroom with shower facilities. Available for all-day dining, the restaurant serves a variety of local and international dishes. For convenience, the hotel provides newspapers and luggage storage services at the front desk. Ticket arrangements can also be made at the on-site tour desk. June Hostel in Siming District is just an 8 minute-drive from Xiamen University. 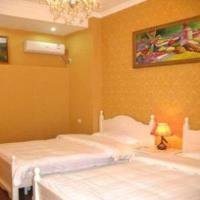 Cozy and air-conditioned, rooms are all individually decorated and equipped with free wired internet. Bike and car rentals are available for an extra fee. Located on the 1st to 4th floors, all rooms have a cable TV and an electric teakettle. Some rooms also have a private balcony. The private bathrooms feature a shower and free toiletries. June Hostel is a 15-minute drive from Gulangyu and a 20-minute drive from Xiamen Train Station. It is 12 miles from Xiamen Gaoqi International Airport. Luggage can be stored at the 24-hour front desk. Just 2 minutes' walk from the famous Sunlight Rock, Xiamen Sunshine House provides modern air-conditioned rooms with free Wi-Fi. Luggage can be stored at the 24-hour front desk. There is also a tour desk and laundry services. Fitted with either tiled or wooden flooring, all rooms are equipped with a flat-screen and tea/coffee making facilities. Some rooms have a sofabed. En suite bathroom have a shower. Xiamen Sunshine House is a 20-minute drive from Xiamen Railway Station and a 30-minute drive from Xiamen Gaoqi Airport. Peony International Hotel is a luxurious 5-star property located just a 5-minute drive from Xiamen Train Station and Xiamen International Conference Center. It offers 4 dining options, and indoor pool and a fitness centre. Free parking and free in-room internet access are provided. Air-conditioned guest rooms are fitted with ironing equipment, tea/coffee making facilities and a flat-screen TV with cable channels. The en suite bathroom comes with free toiletries and a bathtub. Laundry and dry cleaning services are offered. Guests can work out at the fitness centre or relax with a steam bath. Massage services are available. Oriental Cafe serves a western buffet. Local dishes can be enjoyed at the Chinese restaurant. 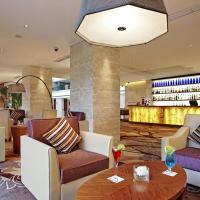 The lobby bar offers drinks and light refreshments. Hotel Peony International is 10-minute drive from Xiamen Gaoqi International Airport and a 15-minute drive from Zhongshan Road or Huangu Ferry Marina to Gulangyu Island. Artist Inn is a 15-minute walk from Gu Lang Yu Ferry Pier and a 10-mnute drive from Xian Men Railway Station. This hotel features an artistic ambience with its multiple oil paintings. Free Wi-Fi is provided on site. Air-conditioned guest rooms are fitted with tea/coffee making facilities and a flat-screen TV. The en suite bathroom comes with shower and slippers. Fax and photocopying facilities can be found at the business centre. Luggage storage is available at the 24-hour front desk. Inn Artist is a 30-minute drive from Xian Men International Airport. Located 4.5 km from Xiamen Train Station, Jingtian Mingtian Holiday Hotel offers a 24-hour front desk and rooms with free wired internet. A restaurant is available in the hotel. Jingtian Mingtian Hotel is 4.8 km from Xiamen International Exhibition Centre and 6.2 km from Xiamen Gaoqi Airport. Zhongshan Road is 9.5 km away. Spacious rooms are fitted with a flat-screen cable TV, minibar and tea/coffee-making facilities. Each room has a dining area. En suite bathrooms come with free toiletries and a shower. The hotel has a 24-hour front desk which provides luggage storage. Meeting facilities are available. Free parking is also provided. Guests can enjoy a selection of Chinese and Western dishes in the restaurant, which offers room service as well. The luxurious Sheraton Xiamen Hotel is a 30-minute drive from Hulishan Fort and Xiamen International Convention Centre. It offers modern accommodation with an outdoor pool, a spa and a fitness centre. Free parking is provided on site. Spacious guest rooms feature stylish furnishings and are fully air conditioned. Each comes with a personal safe, a minibar and a flat-screen TV with satellite channels. Guests can pamper themselves with massage treatments at the on site spa. The staff at the tour desk can assist with making travel arrangements. Olea Steak & Seafood Restaurant serves western delights and seafood specialities. Asian cuisine can be found at Waves Pan Asian. Guests can enjoy Cantonese food at the Prince Restaurant. Hotel Xiamen Sheraton is a 15-minute drive from Xiamen International Airport and Xiamen Railway Station. The Nanputuo Temple is a 30-minute drive away. Xiamen 58 Haili Resort is a 10-mintue walk from Taiwan Folk Village and 10 km from Xiamen Railway Station. It offers spacious rooms with free wired internet access. Air-conditioned guest rooms are fitted with a work desk, tea/coffee making facilities and a flat-screen TV with cable channels. The en suite bathroom comes with free toiletries and a hairdryer. Laundry services are offered. Guests can rent bicycles to explore the area. Luggage storage is provided. Resort 58 Haili Xiamen is 10 km from the ferry terminal. Gaoqi International Airport is 14 km away. Located 2 km from Xian Yue Park, Le Méridien Xiamen features and indoor swimming pool, gym and spa. All rooms come with an iPod dock. Free parking is provided. Upon arrival, guests can enjoy a welcome drink. Le Méridien Xiamen is 4 km from Xin Da Duty Free Shop and 6 km from Zhongshan Road City Centre. Gu Lang Yu and Gao Qi International Airport are within 8 km from the hotel. Air-conditioned rooms and suites each have a balcony. A flat-screen TV, minibar and tea/coffee-making facilities are provided. Select rooms provide free internet access. Guests can have a game of tennis or head for a relaxing massage at Touch Spa to unwind. A business centre and extensive meeting room facilities are available. A concierge desk and 24-hour reception counter is offered. Guests can enjoy Chinese dishes in Le Mei Restaurant or head for a Western meal in Latest Recipe. Drinks are served in Latitude 24.